Early Times is Chicago’s best chimney cleaners. We’re even certified by the Chimney Safety Institute of America. Get a free quote now on a chimney sweep. Chimney cleaning is essential for all homeowners with chimneys. If you use your fireplace, your chimney lining can be covered in soot. This can be very dangerous if it isn’t cleaned properly. Early Times Home Solutions is Chicagoland’s best chimney sweep company. Our Nationally Certified Chimney Sweeps will make sure your chimney is cleaned well and your fireplace is safe to use. It’s no wonder we’re a certified chimney sweep. Why should you get your chimney cleaned? It’s really quite simple: it makes your home much safer. As you burn wood, creosote begins to build on the interior of your chimney lining. This build up is flammable and can ignite resulting in a chimney fire, causing damage to your chimney and home. You want a trustworthy chimney cleaning company to sweep your chimney and make your home safer. They’ll make sure they remove all of the soot and inspect your chimney for any other problems. How often you sweep your chimney is heavily based on how often you use your fireplace. The more often you use your fireplace, the more soot and creosote that build up on your chimney liner. In fact, creosote build-up can be extremely dangerous. It ignites at only 451°F and can engulf your chimney in flames in one minute. That’s not something you want caking the lining of your chimney. While there is no definitive time-frame on how often you should sweep your chimney, there are some things to consider. The Chimney Safety Institute of America (CSIA) says your chimney should be cleaned when there’s 1/8” of soot built up on your liner. It may be difficult to determine if a chimney has 1/8’ of soot or not. How many fires you burn between cleanings is another way you can determine if your chimney needs to be swept. A safe bet is to have your chimney cleaned after every 50 fires. The reason gas-burning fireplaces don’t need to be swept as often is because they expel carbon, a black, cotton-like substance. This material will continue to build up every time you burn a fire. Eventually, it will begin falling down into your fireplace itself. Your gas-burning fireplace also contains sand, glowing embers, and vermiculite, which help to make it more beautiful and realistic. Continued use of your fireplace will cause them to lose their appeal and, over time, they will need to be replaced. Replacement of this material and brushing and resetting of the logs is completed in our refurbishing process. Early Times makes it quick and easy to get started on your project. We've been in business since 1985 making homes safe and customers happy. When Should You Have Your Chimney Cleaned? Anytime! There’s no off season here. We’ll work around your schedule and find a time that’s convenient for you, Monday through Saturday. How Long Does it Take to Sweep a Chimney? Leave it to the professionals. We can have your chimney swept in under an hour. Every sweeping performed is backed by an absolutely no mess guarantee and accompanied by a level I inspection to identify possible hazards in your chimney. If your chimney sweeping isn’t done properly, then you may have creosote left behind in your chimney. Creosote left behind is a fire hazard. Our certified technicians will identity the correct size brush for your chimney. We’ll lay down a protective cloth in front of your fireplace and sweep from the bottom to the top, ensuring that creosote and debris stays inside the fireplace. In rare cases, it may be necessary to sweep the chimney from the top down. Each sweeping is backed by an absolutely no mess guarantee, ensuring a worry free experience each time. There are many parts of the chimney to sweep including the damper, flue, smoke shelf and liner. Knowing what’s most important can be extremely crucial. Beyond just sweeping your chimney, Early Times Home Solutions will provide a level I inspection to identify possible hazards to safe burning. Hiring trustworthy, certified chimney cleaners guarantees your chimney will be safe to use. Early Times has prided itself on being the best chimney cleaning service in Chicago since 1985. In fact, all of our technicians are certified chimney sweeps by the Chimney Safety Institute of America. Our high quality chimney sweeping also includes a level 1 chimney inspection. 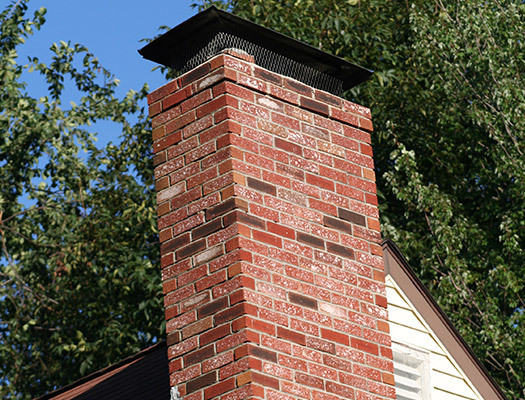 If there’s anything wrong with your chimney, we’ll find it and offer the best solution for you. We want your home to be safe. When you need a certified chimney sweep, call Early Times Home Solutions or get a free quote online. You know you’re getting the best in the Chicagoland area.